She's a master of the arts, the face of Irish research and her friends call her a visionary. Is there any stopping Jane Ohlmeyer? Despite always being curious about what lay behind those stunning glass window displays of the Trinity Long Room Hub Arts and Humanities Research Institute, I had never plucked up the courage to venture over the threshold. Last week I took the plunge, all in the name of interviewing a woman fondly referred to by friends and colleagues as a “master of the arts and humanities”. 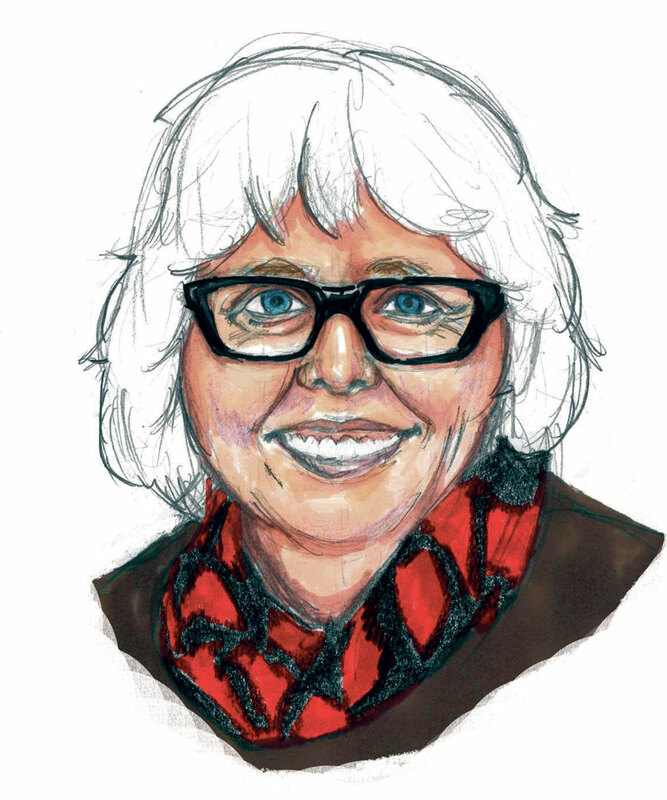 Although first and foremost an “Irish historian”, Jane Ohlmeyer, as the visionary, founder and current director of the Long Room Hub, has made it her life’s work to restructure and rejuvenate not only Trinity’s but the world’s approach to the arts and humanities. As I sit in the reception area awaiting my summons, I am struck by the beauty of my surroundings, the magnitude of Ohlmeyer’s vision and the dedication it must have taken to get this project off the ground. Because of Ohlmeyer, Trinity and Ireland now have an iconic building in an iconic location dedicated solely to “supporting excellence of the arts and humanities, and multidisciplinary research”. Completing this project on its own would be the pinnacle of a life’s work for most, but that is not who Ohlmeyer is. As a highly esteemed historian, Ohlmeyer has a huge international profile for her academic work, having written multiple leading historical texts and spearheaded innovative historical projects like the digitization of the 1641 Irish rebellion depositions. At the same time, she has worked tirelessly to promote and protect research spanning the whole academic sector as Chair of the Irish Research Council. Her institute colleague Caitriona Curtis describes her as “a human dynamo”. Whilst undoubtedly a highly skilled and respected academic, her brilliance in this regard is only part of the story. As her research assistant Sophie Hingst points out, “there are two types of people in this world, those who are great at doing research and those who are great human beings. Jane is a rare mix of both. She is an extraordinary person, a stunning researcher, but with a heart of gold for everyone she interacts with. She wants to see you excel, to find the things within yourself you didn’t know you had. She is just an inspiration”. From everyone I talk to, it’s soon obvious Ohlmeyer is a real people’s person. As her long-time friend and colleague Linda Doyle, who’s Dean of Research in Trinity, comments, “Jane has a warmth and inclusivity that draws you in”. Ohlmeyer emphasises the soft spot she holds for the country that inspired her interest in Irish colonial history – and the place her mother still lives – but admits that “growing up in a war zone was claustrophobic”. Thus, Ohlmeyer went travelling the first chance she got, hitchhiking her way across the continent she was born in and falling in love with the people and cultures she saw. On her return, she was offered an undergraduate place at Trinity to study history, but, like so many of her generation from Northern Ireland, Ohlmeyer headed for Scotland instead. Studying at St Andrew’s, she immersed herself in her subject, discovering a deep love and desire to teach. Despite always knowing that her heart belonged to Irish history and that she ultimately hoped to return to live and work here, Ohlmeyer knew early on that to be the “master of her own discipline” she needed to have as wide a range of academic experiences as possible. This may explain why, when Ohlmeyer finally took up the position of Senior Chair in Trinity’s history department in 2003, one of the first things she did was push for a major overhaul, not only in the history department but across the arts and humanities. As her former colleague David Dickson pointed out, “when Jane came to Trinity she came with a vision, with passion and big ideas of how things should be modernised. Of course, a number of people were involved in the restructuring, but a lot was achieved because of her drive”. Dickson points out that the restructuring was at times traumatic, but the departments trusted Ohlmeyer’s vision. In fact, Ohlmeyer’s commitment to keep pushing on, to keep striving for excellence, served Trinity well in later years. “Without that restructuring, undoubtedly the university would not have coped as well as it did with the 2008 crash”. It was Ohlmeyer’s vision that helped Trinity ride out the storm. A major overhaul like this would have been enough for most people. Ohlmeyer, however, is not most people. A passionate educator, she always has her eye on the next opportunity to bring the humanities to life. Spearheading the project to digitise the 1641 depositions, Ohlmeyer did what many before her had thought a good idea but never taken any further steps towards. As Curtis commented, “Jane is hugely ambitious in a good way – she inspires you to help her work towards the impossible”. Dickson agrees. “Others said, ‘yes, this is a good idea’, but she was the one who had the engine-room energy. She was the one who got cross-jurisdictional funding”. Of course, when I broach the subject with Ohlmeyer she is bashful, flipping the success around and arguing that the project’s success is a prime example of why “interdisciplinary research is so successful and important”. 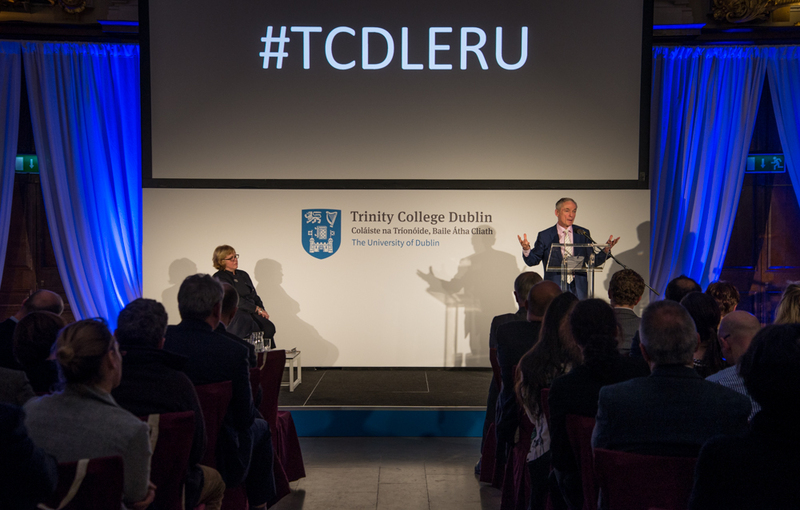 Ohlmeyer alongside Minister for Education Richard Bruton at the announcement of Trinity’s membership of LERU. Despite these rare moments of reflection, a humble Ohlmeyer rarely takes credit for the impact of her work. Whatever she does, Ohlmeyer creates a ripple effect, no more so than in her constant championing of equality. As the only female candidate for provost back in 2011, Ohlmeyer admits that she ran at least in part because she was “sick” of the lack of gender diversity. And whilst her bid was ultimately unsuccessful, Ohlmeyer utilised time she would not have had if she was running a university to embrace a new host of projects. Asked if she would ever run for provost again, Ohlmeyer is candid: “I didn’t run because I had this burning desire to be university president, I ran because I love Trinity and this great university deserves diversity. I hope I won’t have to run again and I don’t think I’ll need to, but if there is no other credible candidate I would stand because I don’t want an all-male lineup. Trinity can have a female provost, but it’s up to us to make it happen, the candidates are there, they just need to be chosen”.